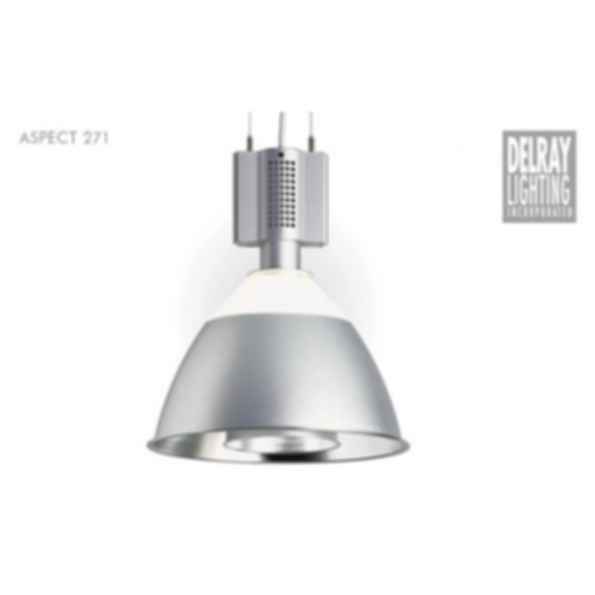 Pendant and surface mounted CFL (272) and ED17 (271) metal fixture with uplight and interior metal reflector. Materials: extruded aluminum ballast housing available in white, silver, hammertone, and custom color finishes. Size: 18 in. high, 16.2 in. metal shade.